At the Menara Peninsula Hotel Jakarta we have always paid the greatest attention to the constant training of our team to ensure that they deliver the most friendly and efficient service of a 4-star hotel in the Jakarta business district to satisfy the needs of both business and leisure travelers. The free high-speed Wi-Fi available throughout the hotel allows guests to stay in touch with home or the office at any time of day. Free parking for our resident guests to help you avoid all the stress of the Jakarta traffic. Fully-equipped fitness center offering a choice of different classes with instructor, and a full range of massages and body and facial treatments helps to rejuvenate your body and mind after a hard day’s work. 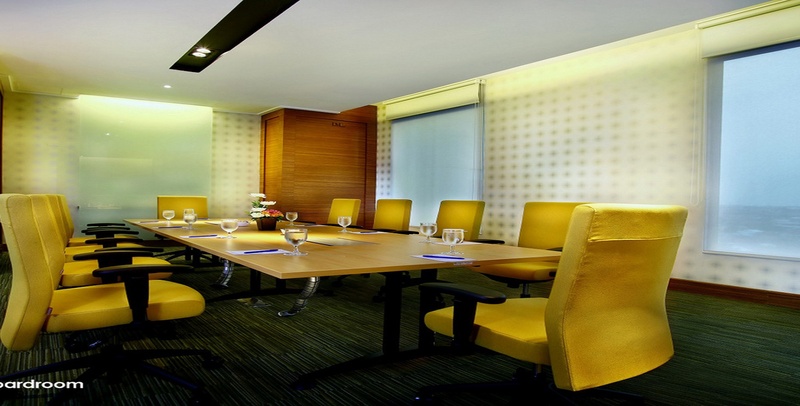 An incomparable and outstanding facility for business meetings and social events. We have 20 versatile function rooms for all occasions and all meticulously planned and customized to your needs. Our Cengkah Ballroom can accommodate up to 800 persons for a conference. Full-service business center supported by a professional team and the latest office equipment and internet connectivity. Just give us a call to enjoy an intimate dining experience with the best of Indonesian and international cuisine in the comfort of your room. The finest local and international dishes prepared with the freshest market ingredients and accompanied by the most friendly service.